Happy Wednesday Everyone! We are excited to reveal our Lincoln Terrace Living Room! The living room is one of the areas in the home with an update modern look. 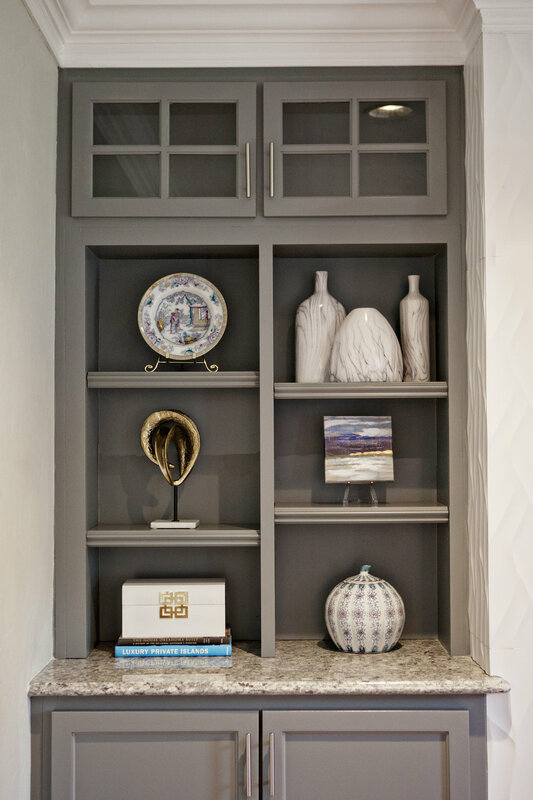 The white fireplace is the focal point of the room, with coordinating gray shelves on either side. The space and layout of this room was a bit tricky, we had to really work with the couches and chairs to create a layout with an easy flow to get in and out of the space. Overall, we had to keep the perfect balance of designing with modern elements while keeping true to the historical feel of the home. Not only is the Turkish rug absolutely gorgeous, anchoring the room, we were so happy the clients chose the blue chairs to go in the room. 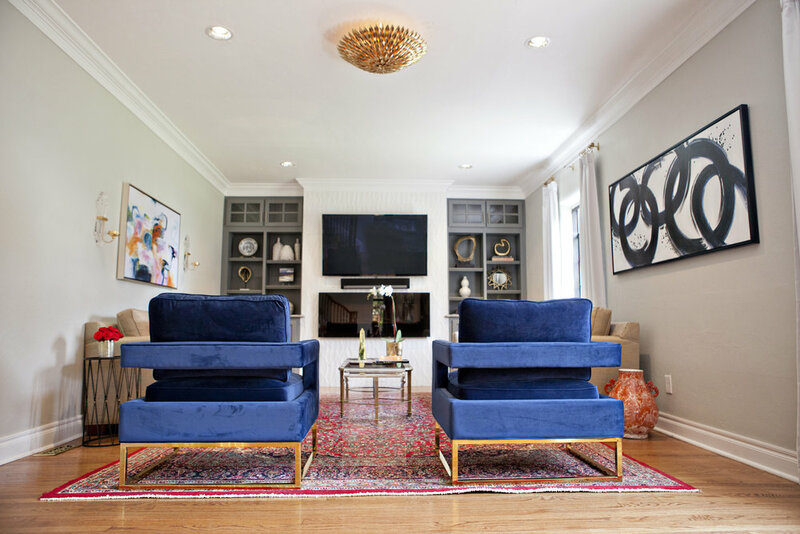 The chairs bring a modern touch, and the blue adds a colorful element, complimenting the rug. Not only are they beautiful in design, they are really comfortable. We chose silk curtains with lucite curtains rods to dress up the windows. The light fixture is more like a work of art and brings in the antique element to the room. 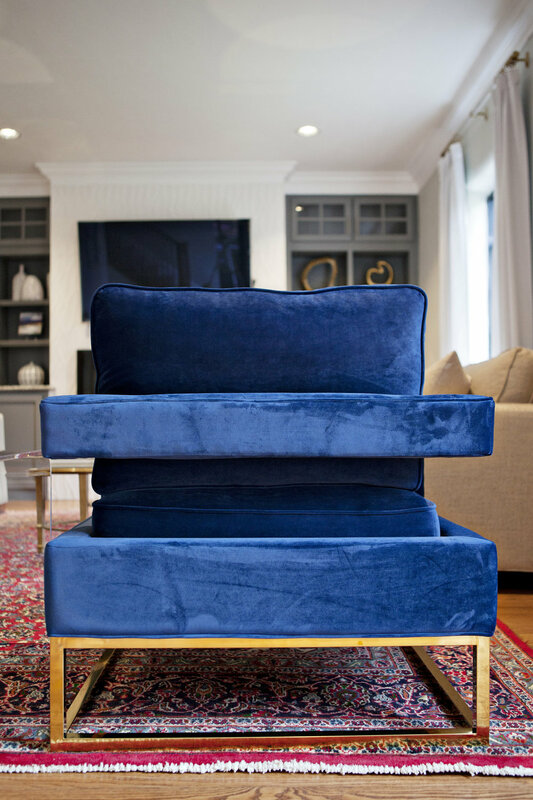 We chose a Gabby coffee table that felt fitting for the room with the mirror top and antique gold legs. The best part about this coffee table is, it does come in three parts, so if our clients' did want to entertain a large party, they could split the table for more room in the living room. 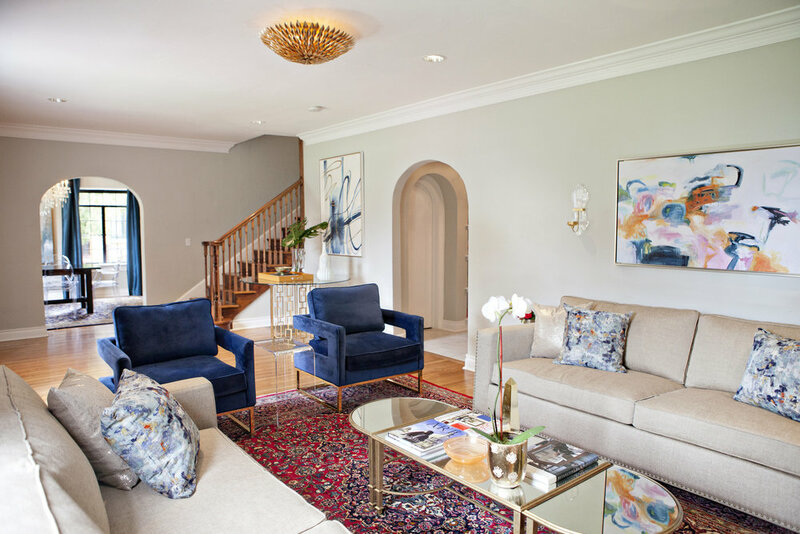 The couches are neutral in color with abstract pillows to tie in the art surrounding them. Both pieces of art are abstract and compliment the room well, by drawing in various colors. Just like our Canyon Lakes project, these clients wanted a colorful palette for their home. 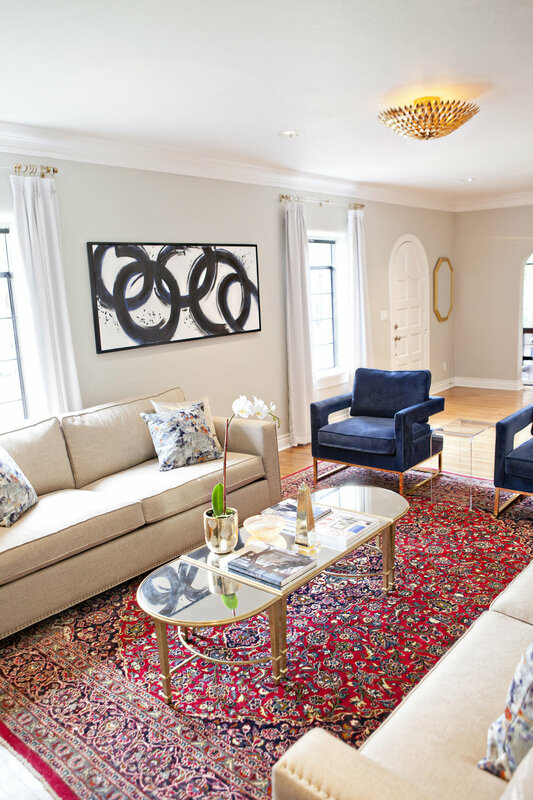 We wanted to keep the historical element to the home, by bringing in the antique gold colors, but also adding splashes of color with the chairs, rug, pillows and art. This was a really fun room to work on, much like the rest of our projects. We loved working with the modern touches, but keeping true to the historical presence of the home. 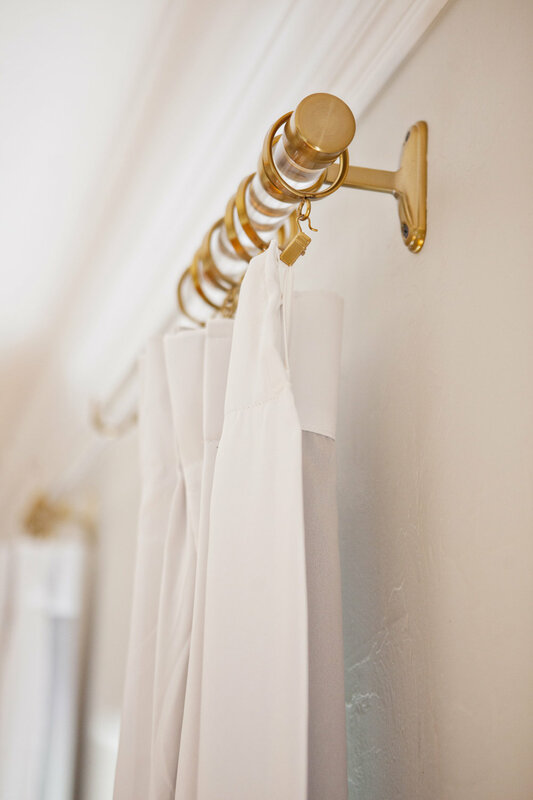 Tomorrow, we will be revealing their master bedroom!